Testing multiple browsers on multiple platforms isn’t just difficult – it can be virtually impossible without the correct resources. Today, we have a lot of options when it comes to cross-browser testing, and there are probably just as many “top cross-browser tool” lists to tell you which ones you should be using. The list of the top and free cross browser testing tools below is in no particular order, as they’re all equally effective for any given device. This can be difficult and time-consuming if you do it manually, and you may end up with more browsers than you’d like installed on your computer. Don’t forget to give your most welcomed feedback to improve quality of our blog. If you like this article, you might be interested in some of our other articles on: Electrifying iOS 7 UI Kits, Free Flash Plugins for WordPress, Fullscreen Video Background WordPress Themes and Free Single Page WordPress Themes. Browsera tests and reports cross-browser layout differences and scripting errors on your site. 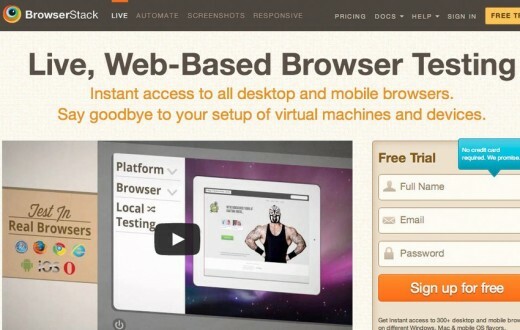 Browsera is different from other cross-browser testing services. Services such as Litmus, Browsershots, BrowserLab, and SuperPreview merely generate screenshots for a particular page which you must then analyze, one by one. BrowserStack provides live, web-based browser testing with instant access to every desktop and mobile browser (currently more than 300), with the ability to test local and internal servers, providing a secure setup. Lunascape is a free triple engine browser. That means that you can run and test a new website in Trident (IE), Gecko (Firefox) and Webkit (Chrome and Safari) and compare rendering engines side-by-side. 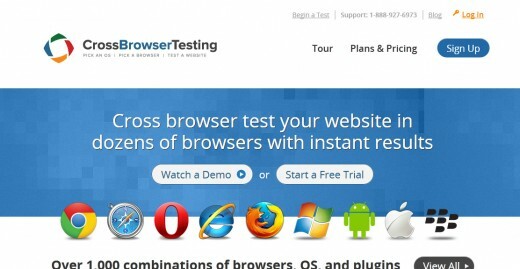 CrossBrowserTesting allows users to test their websites with over 100 resolution/browser/OS combinations. It also has support for mobile web browsers, which is important because web traffic is making the shift from primarily desktop computer users to primarily mobile users in the future. 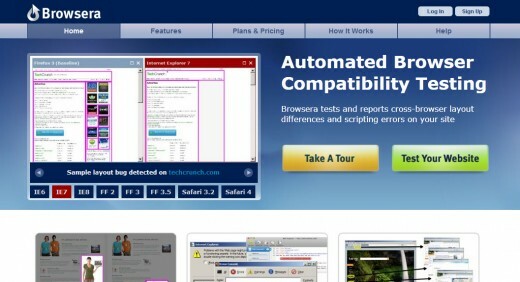 Browsershots makes screenshots of your web design in different operating systems and browsers. It is a free open-source online web application providing developers a convenient way to test their website’s browser compatibility in one place. 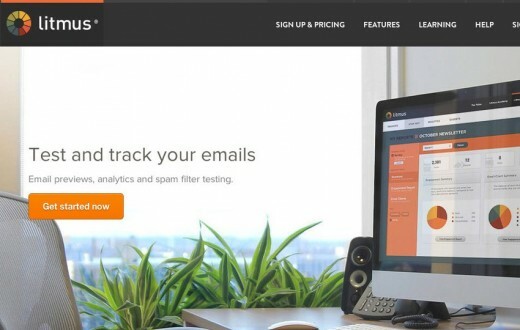 Litmus provides cross-browser page testing in addition to your email previews. Just give us a URL and we’ll show you how it appears in popular web browsers. Spoon is a good resource that lets you live test your website using the most popular browsers, including Opera, Firefox, Chrome, and Safari. IE is not permitted since Microsoft will not allow it. Sauce Labs offers a rather unique cross-browser testing experience. Rather than simply taking screenshots of your website in different browsers, Sauce Labs allows you to record a live testing of your website. Ghostlab offers synchronized testing for scrolls, clicks, reloads and form input across all your connected devices, meaning you can test the entire user experience, not just a simple page. This is an editorial contribution from Kyle Sanders at CWR, an Austin based web development company helping small and medium size business improve their site design, speed, conversions, and search presence. Visit their website to learn more or connect with them on Twitter @cwrseo.